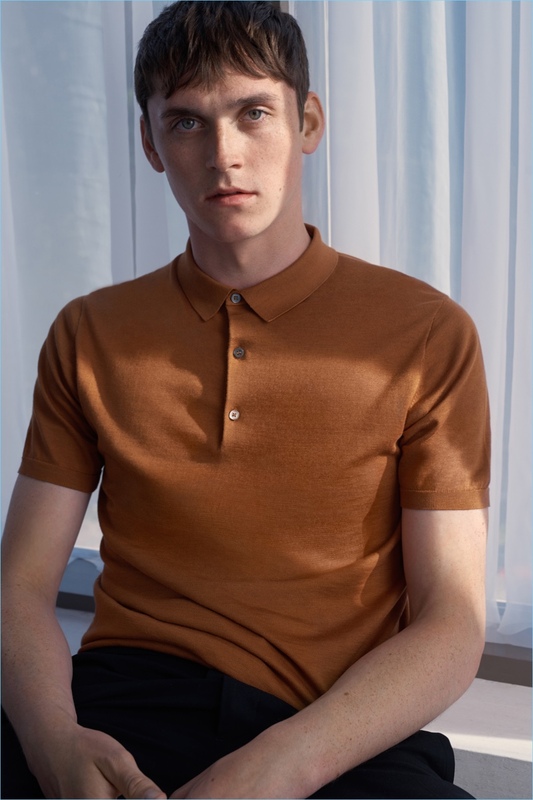 Anders Hayward wears a COS silk-cotton polo shirt in golden yellow. COS sets the tone for the new season with an inspiring color palette. 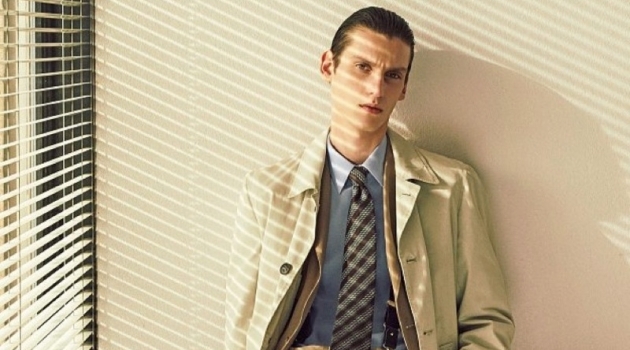 The Swedish brand makes a case for "muted tones and organic hues." Its selection includes colors such as terracotta and navy blue. Model Anders Hayward connects with COS to showcases its latest arrivals. The British model wears timeless essentials such as a polo shirt in golden yellow or a navy stitch-detail style. 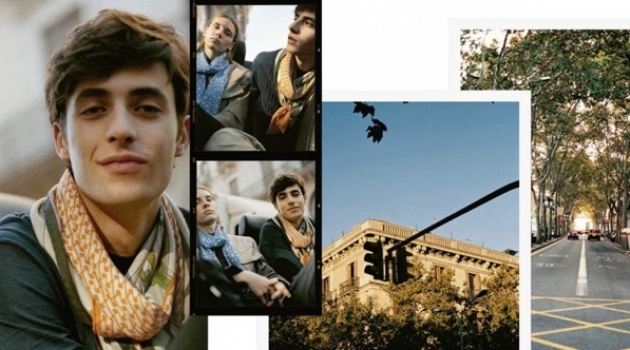 Anders also connected with the COS-related brand H&M for a recent campaign. 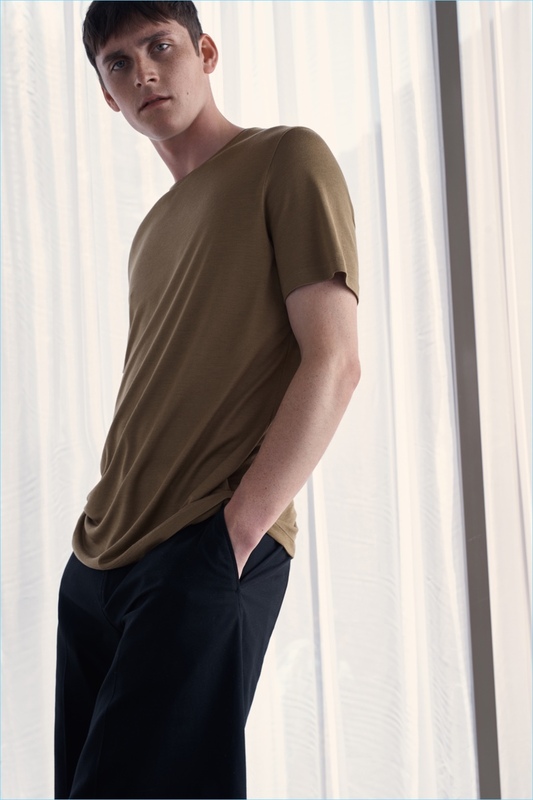 Connecting with COS, Anders Hayward wears a relaxed tee in brown. Model Anders Hayward wears a COS stitch-detail polo shirt in navy.